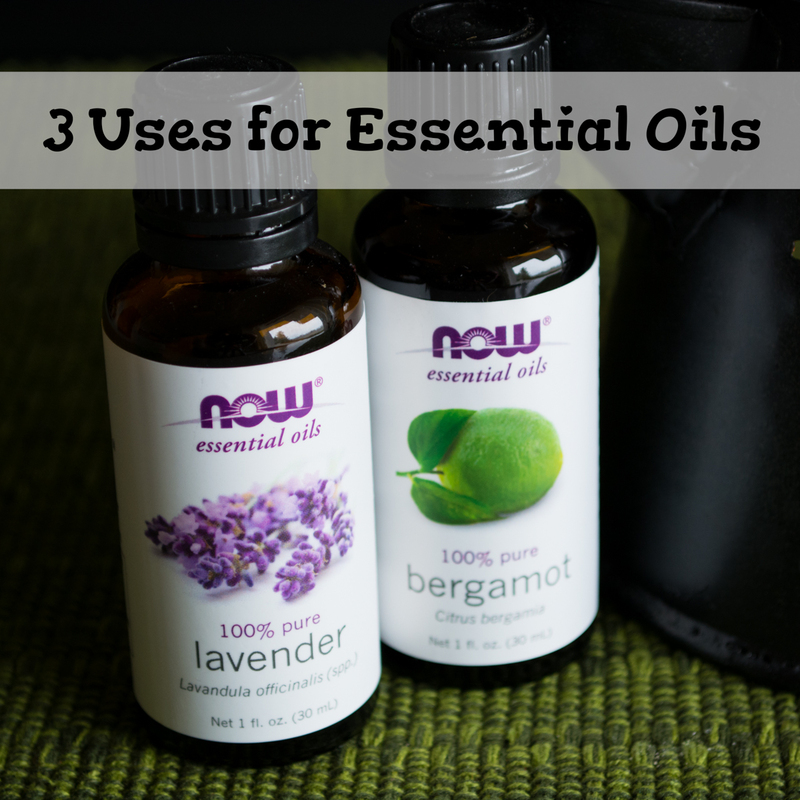 I know there are probably a million ways to use essential oils but today I’m going to share my 3 favorite go-to ways to use these fragrant sometimes medicinal oils. First of all, what are essential oils?? According to google an essential oil is a natural oil typically obtained by distillation and having the characteristic fragrance of the plant or other source from which it is extracted. Whether you’re drinking tap or filtered water sometimes water is just boring. Instead of reaching for pop or juice add 2-4 drops of lemon, orange or grapefruit essential oil to 20 or 32 oz of water. 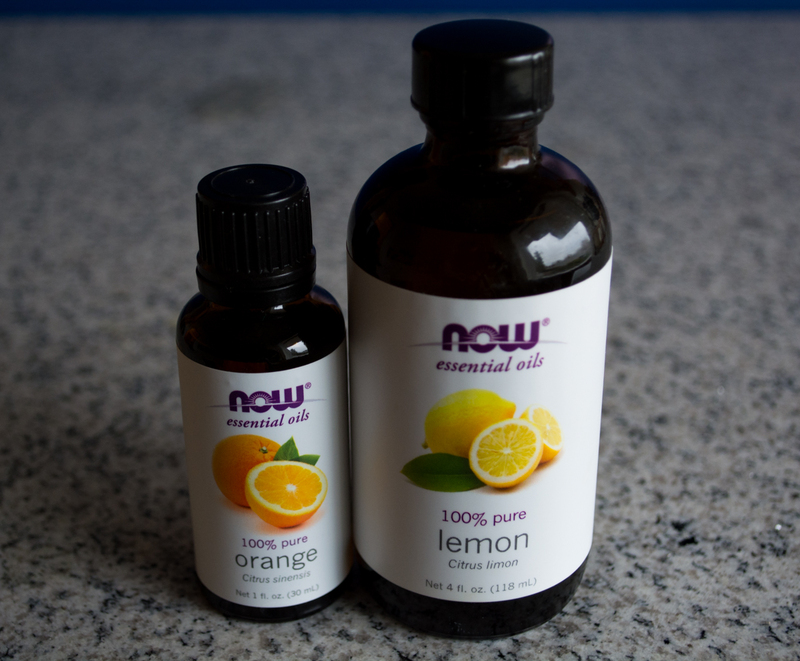 Enjoy the bright citrus addition and benefits of the oil you added. Grapefruit essential oil: antioxidants, a natural diuretic, a disinfectant, a stimulant, an antidepressant, an antiseptic, a lymphatic, and a tonic substance. Orange essential oil: an anti-inflammatory, antidepressant, antispasmodic, antiseptic, aphrodisiac, carminative, diuretic, tonic, sedative and cholagogue substance. Lemon essential oil: stimulating, calming, carminative, anti-infection, astringent, detoxifying, antiseptic, disinfectant, sleep inducing, and antifungal properties. 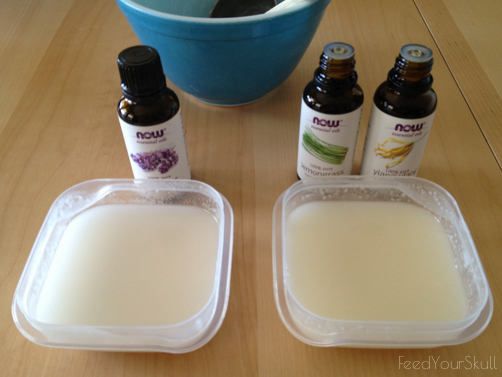 You can read more about my homemade deodorant but let me tell you that I’m still using the recipe—so it’s still working! It only has 4 ingredients and one of them is essential oils. So far I’ve played around with lemongrass, lavender, and ylang ylang scented deodorants. Lavender: eliminates nervous tension, relieves pain, disinfect the scalp and skin, enhance blood circulation and treat respiratory problems. Lemongrass: many beneficial properties as an analgesic, antidepressant, antimicrobial, antipyretic, antiseptic, astringent, bactericidal, carminative, deodorant, diuretic, febrifuge, fungicidal, galactogogue, insecticidal, nervine, sedative and tonic substance. Ylang-ylang: an antidepressant, antiseborrhoeic, antiseptic, aphrodisiac, hypotensive, nervine and sedative substance. This idea came to me this very morning while in the middle of yoga. I love mild but calming scents while doing yoga like incense so I thought why not diffuse some lavender! I actually paused the yoga DVD to set this up really quick. 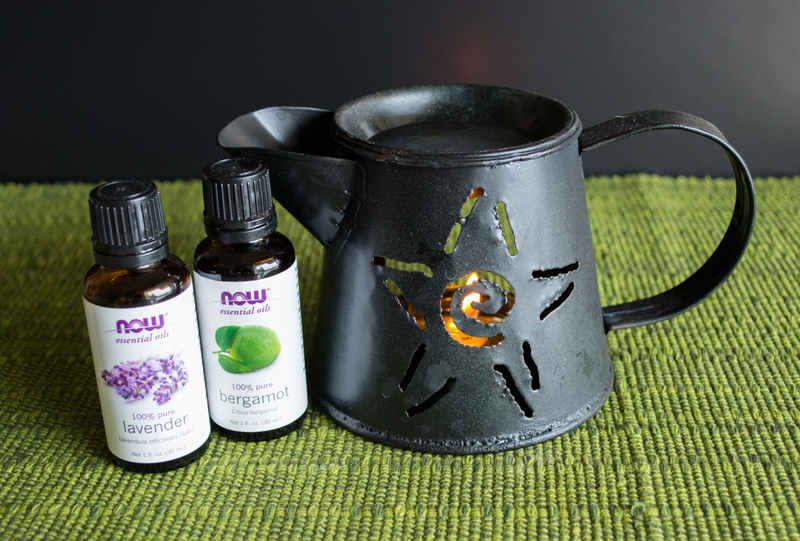 I took one of my little tealight candle holders that has a basin on the top and added a tablespoon or so of water—you could also use a carrier oil like almond or jojoba—and sprinkle a few drops of your favorite scent, light the candle and enjoy the aromatic properties. Feel free to use any scent that ‘get’s you’. I’ve had my essential oils for less than a year and they are still very full. I’m almost out of the grapefruit oil but I’ve used that one exclusively for my water on a daily basis. For any of the oils, I recommend purchasing the 1 oz. containers if you go with the NOW brand, the 4 oz. bottle doesn’t have the same drop dispenser so it’s a little difficult to dose in small quantities. If you want to buy local and are in the Eastern Washington area I suggest the Moscow Food Co-op. I’m not sure of the brands or quality but I’ve seen them towards the front and near the vitamins. For ordering online — I go through Amazon. Oh My God! I did not know about this benefit of essential oil. The best thing that I like about the essential oils is that we can make Scented Deodorants out of it with only 4 ingredients. I make home made cleaners with lemon and sweet orange and it smells so wonderful! When my wife and I moved in together, she got used to me using my own cleaners. One time she used a bleach product from the store and she couldn’t believe how much she couldn’t tolerate that smell anymore. I am with Brenda Star on this one. I can’t wait to try the deodorants! My skin is sensitive, even to brands like Tom’s.